Nearly every day that Thomas Moon goes to work at Tankersley Food Service, he can count on seeing CEO Don Tankersley putting in hours. Tankersley remains a fixture around the offices, something that doesn't go unnoticed by Moon or the nearly 200 employees. "Hell, he's 70," said Moon, the executive vice president and general manager. "He doesn't have to come to work every day, but he does. He comes to work five days a week. That has an impact on the employees. It makes them proud to work here and they know he cares for them. So they care for him." Those employees have helped as Tankersley and his family built the company into the largest food service company in Arkansas and Oklahoma. It ranked No. 61 on Arkansas Business' most recent list of the state's largest private companies with revenue of $114 million in the fiscal year that ended in March 2012. 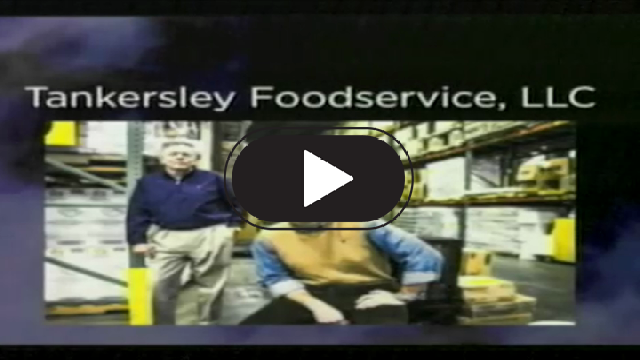 Because it is headquartered in Van Buren and near Interstate 40, Tankersley Foodservice is ideally situated to do business in Arkansas and Oklahoma. Nearly 35 percent of the company's business comes from schools. Moon said the company holds a commodities contract with all of Arkansas' public schools and nearly half the schools in Oklahoma are customers. Being flexible and willing to expand services offered has helped the company grow, especially during the last decade. That's when Don Tankersley moved Tankersley Foodservice from a cluster of warehouses spread out over Fort Smith into one centralized location in Van Buren's industrial park. A $3.5 million warehouse expansion is coming soon. Each day employees are reminded of the motto: "Whatever It Takes." Keeping customers happy is the motivating factor and key to success, said Moon, who is Tankersley's son-in-law. It's why you might even find him making deliveries in addition to his day-to-day activities helping run the company. "We have two things that matter in this company," Moon said. "We have employees and we have customers. We do what we have to do to take care of them. That's why we've been successful."